Lewis Hamilton says Max Verstappen's move that resulted in them colliding in the Bahrain Grand Prix was "silly" and disrespectful. 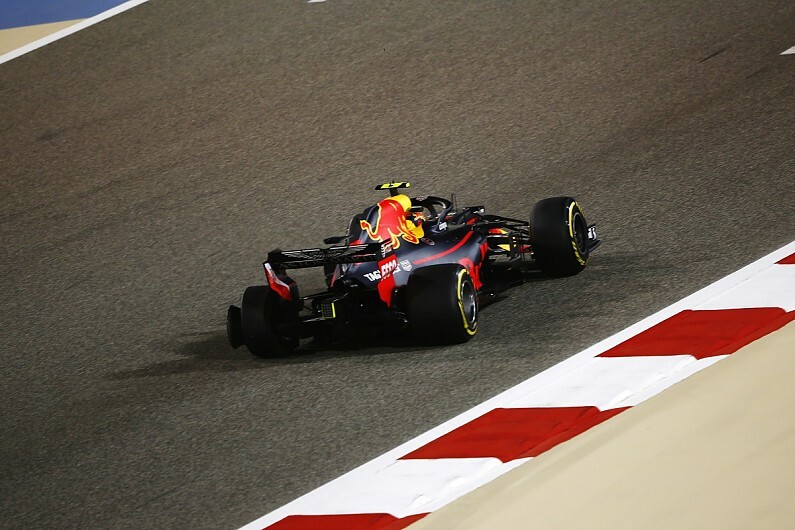 Verstappen suffered a puncture and differential damage that forced him to retire from the race when he and Hamilton made slight contact on the exit of the first corner early in the race. The Red Bull driver was on the inside in the middle of the turn and ran to the outside to squeeze Hamilton, whose front wing then clipped his left-rear wheel. When watching the incident back behind the podium Hamilton referred to Verstappen as "a dickhead", and speaking to the media after the race he said he felt the incident was "unnecessary". "Ultimately, I had a coming together with Max and it was an unnecessary collision," said Hamilton. "There needs to be a certain respect between drivers. I need to watch it again, but it didn't feel like a respectful move. "It was a silly move for him because he didn't finish the race and obviously he's tending to make quite a few mistakes recently. "It was just unnecessary for him to do that. I can't really remember what point of the race it was or why we were in that position, but I don't really care to be honest." Verstappen believes that if the roles were reversed, Hamilton would not have been happy in his position. "I had a good run out of the last corner and went for the inside," he said. "Lewis was trying to go around the outside and at one point I was ahead. "I think there was still enough space on the left but I got a touch on the left rear and it destroyed my diff." When asked if it was a racing incident, Verstappen said he was "fine" with the stewards taking no action, then he added: "I don't know. I think if it was the other way around he would have said something."